Yamaha has finally launched the much awaited MT-15 naked streetfighter in India. 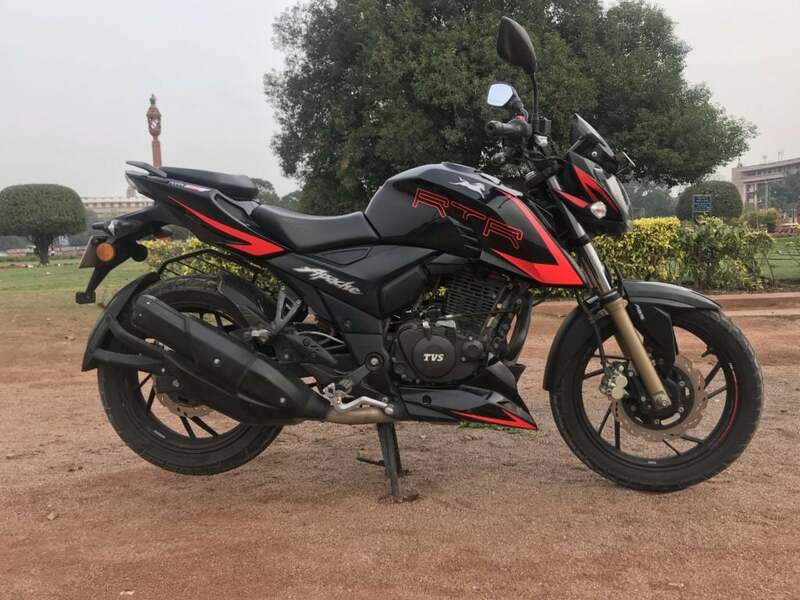 At a price of Rs 1.36 Lakhs (ex-showroom), it goes against the likes of TVS Apache RTR 200 4V, KTM Duke 125 and Bajaj Pulsar NS200. 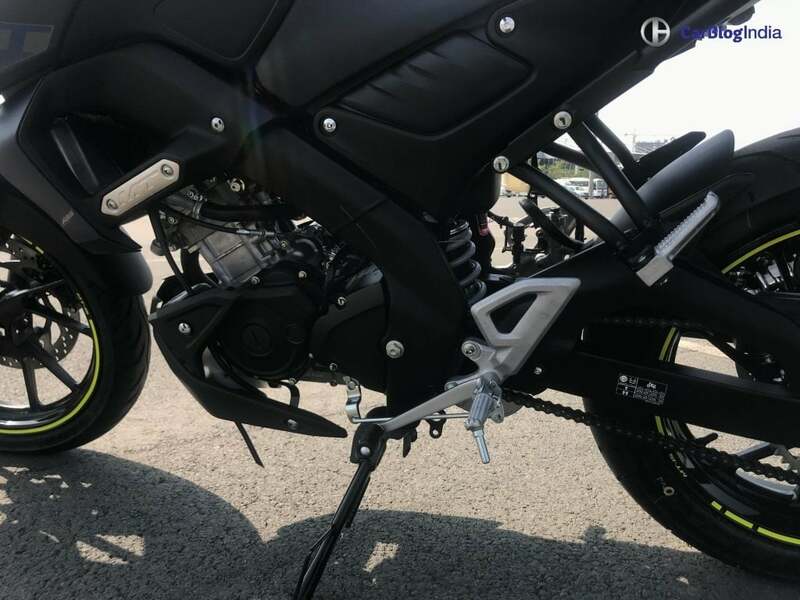 MT-15 is basically the naked version of the R15 V3. Both use the same engine, chassis, suspension and braking parts. However, while the R15 V3 is a sportsbike with a dedicated riding position, the MT-15 offers a better relaxed riding posture. We have finally ridden the newly launched bike at the Buddh International Circuit. Check out the first ride review and the quick walkaround video too. 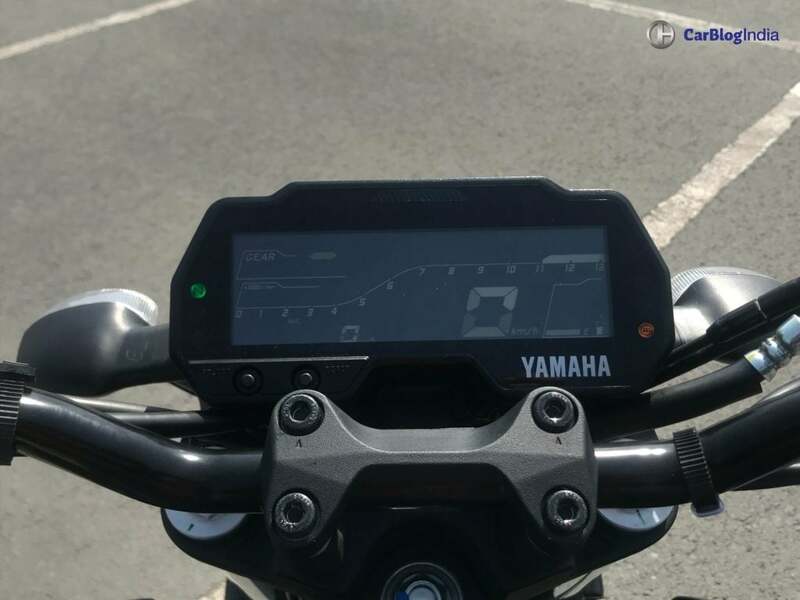 So, here, we pit the Yamaha MT-15 against TVS Apache RTR 200 4V. There is not much price difference between both the bikes, but the Apache offers a bigger capacity engine. However, MT-15 is the most capable 150cc bike, which actually tackles on 200cc bikes. 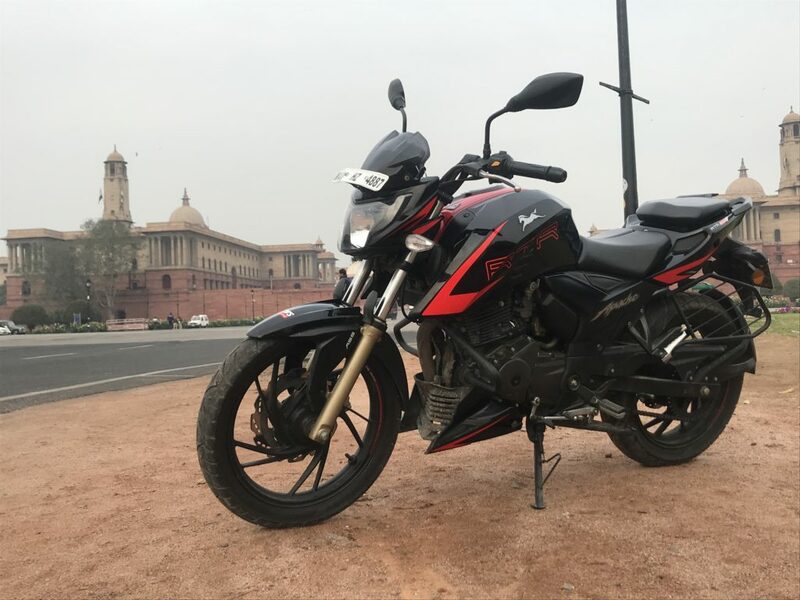 Since we rode the Apache RTR 200 earlier this week, we have compared both the bikes on basis of their performance too. The bike was not present with us at the time of the launch. Yamaha has launched its naked streetfighter at Rs 1.36 Lakhs, cheaper than the R15 V3 by only Rs 3000. Apache on the other hand, is Rs 25,000 cheaper. What would you prefer a cheaper 200cc motorcycle or the legendary Yamaha performance 150cc bike? Read ahead to know! MT-15 gets a 155cc liquid-cooled DOHC engine with the VVA system and Fuel Injection. The motor is tuned to deliver 19.1 BHP and 14.8 Nm of peak torque, coming mated to a 6-speed gearbox. Apache uses a 197cc oil-cooled SOHC engine that produces 21 BHP and 18.5 Nm of peak torque. The engine comes mated to a 5-speed gearbox with AR-T slipper clutch. Comparing, the power figures are nearly same. However, Apache being a bigger capacity engine will be more refined and comfortable at higher speeds. The presence of a 6th gear in MT-15 will let it allow to cruise at triple-digit speeds. 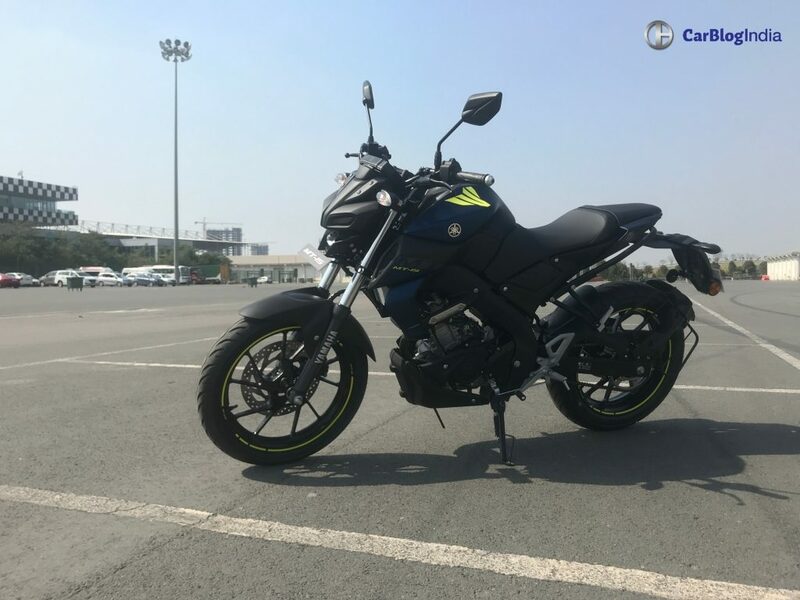 MT-15 gets a fuel tank capacity of 10 litres. Considering the same engine from R15 V3, it shoud deliver an average of 50 kmpl, offering a riding range of over 450 kms. The claimed top speed stands at 131 km/hr. Apache gets a bigger 12 Litre fuel tank capacity, but with a lesser recorded mileage of 35 kmpl. During our review, we managed to extract nearly 420 kms on the full tank. The top speed achievable on this bike stands at 129 km/hr. The Yamaha bike is 1965mm long, 800mm wide and 1065mm tall. The ground clearance stands at 155 kms, while the wheelbase is 1335mm. The kerb weight of the bike is 133 kgs. 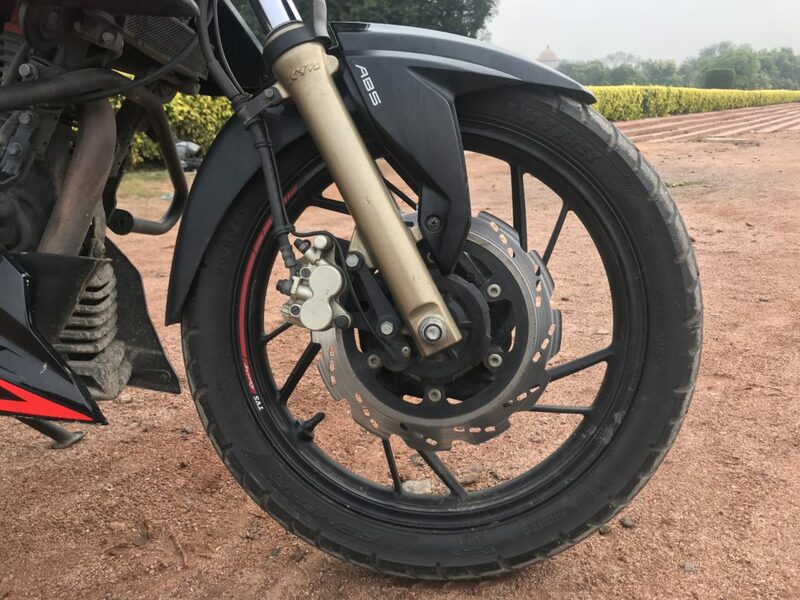 Apache RTR 200 is 2050mm in length, 790mm in width and 1105mm in height. It gets a ground clearance of 180mm and a wheelbase of 1353mm. It is heavier at 149 kgs. Telescopic forks at the front and an aluminium swingarm with rear monoshock handle the suspension on MT-15. For braking, both the bikes use Front and Rear Disc brakes with dual-channel ABS. RTR 200 4V gets premium KYB telescopic forks and a rear monoshock absorber. The braking setup remains the same. MT-15 takes heavy inspiration from the elder MT siblings, like the MT-09. The typical naked streetfighter looks are perfectly inherited. The sharp creases and the heavy tank extensions are catchy for the eyes. At the front, it gets its trademark Bug-shaped LED headlamps. The headlamps give it the name – The Dark Warrior. The alloy wheels and the exhaust muffler are borrowed from R15 V3, as they are different from the international-spec. 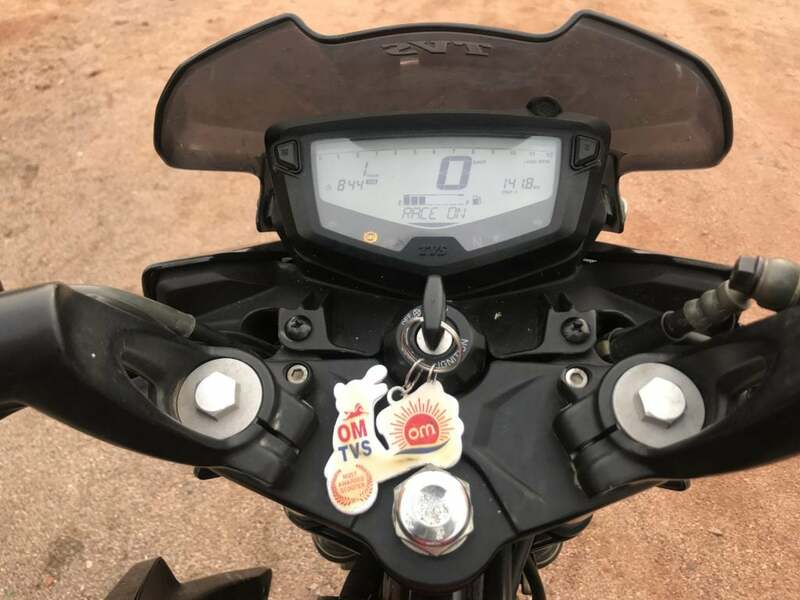 TVS Apache RTR 200 4V on the other side is a fresh design and not inspired by another TVS bike. Unlike the mature styling of MT-15, Apache looks funky and more stylish. The overall design between both the bikes is not much different, as both are naked streetfighters. Apache gets sculpted headlamps with DRLs with a small visor atop, an engine cowl, double barrel exhaust muffler and the race-derived split seats. Overall, both the bikes look sport and style fused together. It’sjust that MT-15 is a bit mature and Apache is a bit loud and funky. Comparing both the bikes, we felt the MT-15 to be a more energetic bike. The shorter gears and the super quick acceleration is much applauded. 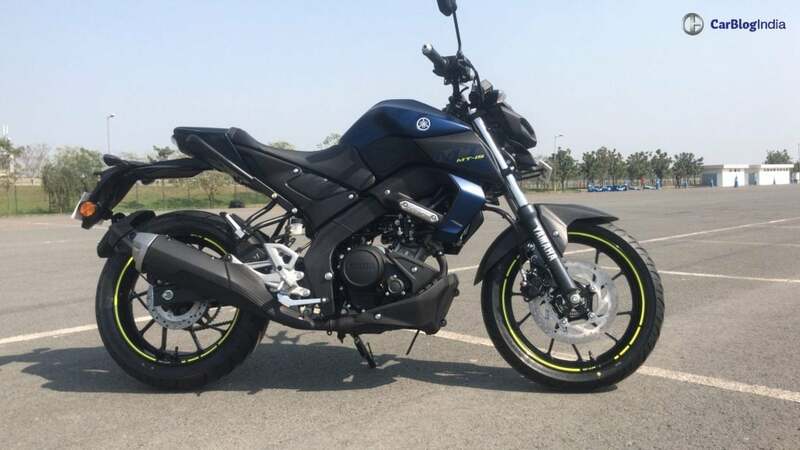 It’s not like RTR 200 isn’t swift, just that the Yamaha motorcycle is a bit better. On the highways, Apache has an advantage of being a bigger capacity motorcycle. At triple speeds, Apache is comfortable, without any stress. However, the MT-15 records a higher top speed of nearly 131 km/hr. Summing up, both are perfect bikes for the daily city commuting as well as a quick speed run on the stretches.